A lifelong reader & viewer of Comics, Science Fiction, Horror & Fantasy, Genre Stuntman/Actor MALCOLM XERXES performed in the new Science Fiction Action Drama SHUTTLEDOWN� , from TITAN-RAINBOW Media Productions™. NOW ON VIDEO . . .
-Friends and admirers have been reaching out to each other on this sad anniversary. They seek fellowship and remembrance of a man whose presence is so sorely missed. To the right is the image of a T-Shirt one friend shall be wearing on this anniversary. 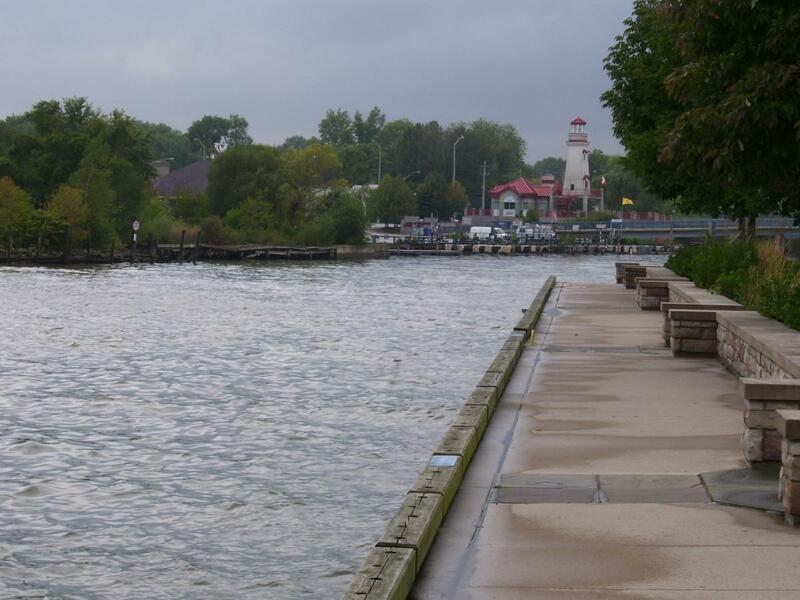 On other boards some are attempting to gather for the sharing of a meal and fellowship, while others still have communicated they're gathering at the cemetery, or Port Credit Harbour. 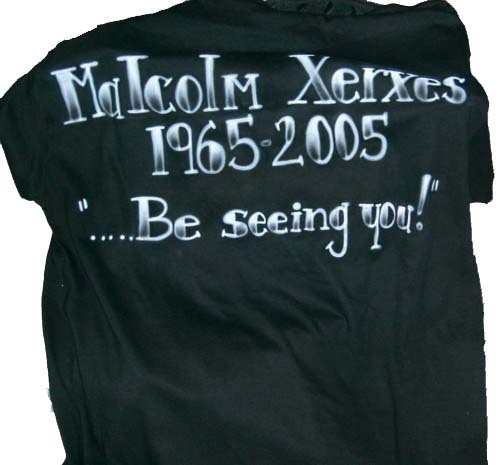 MALCOLM XERXES ™ was a talented and bright force, an energetic and resourceful spirit who left us far too soon. Whatever you do, however you choose to acknowledge this date, we hope you find some comfort in the knowledge that you are not alone. FINAL REPORT . . .
-We regret to inform visitors that MX, also known as IAN ANTONY MALCOLM, passed away Tuesday September 13, 2005 at approx. 16:10 (4:10pm) at Port Credit Harbour in Mississauga, Ontario. A memorial was held Saturday September 24, 2005 at Trinity Anglican Church and his funeral occured Saturday, October 22, 2005; 11:00am at Ward Chapel & Funeral Home in Brampton, Ontario. 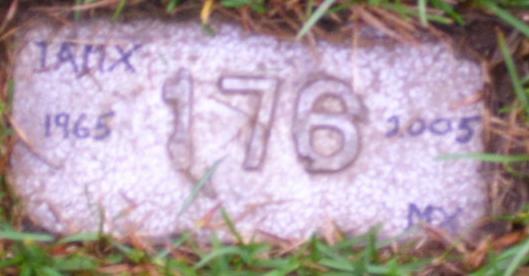 He was laid to rest at the Meadowvale Cemetary. Many of the details leading up to his passing have been withheld for various reasons include respect to others involved. Unfortunately the blunt and context free details which were released have bloomed into full-scale speculative fiction on some boards so we caution anyone against taking anything they read about this at face value. But in the end it doesn't matter, a series of tragedies all around have occurred and we've lost a very good friend. -MX last appeared in the CANSTAGE™ presentation of TWO CAN PLAY at the Berkeley Street Theatre. It ran Tuesday to Saturdays at 20:00 (8pm) and Sundays at 14:00 (2:00pm) from May 31, 2005 to July 2, 2005. For more information CLICK HERE. -MX portrayed a Nigerian U.N. Peacekeeper in an upcoming Historical Heritage Minute produced & narrated by MR. PATRICK WATSON (WITNESS TO YESTERDAY�, TITANS�)! -MX completed filming a BUDWEISER� commercial exclusively for the Mexican TV market! -MX was interviewed by Author/Director KEVIN SMITH (SILENT BOB in CLERKS™, MALLRATS™, CHASING AMY™, DOGMA™, CLERKS: THE ANIMATED SERIES™, JAY & SILENT BOB STRIKE BACK™) in AN EVENING WITH KEVIN SMITH 2: ANOTHER EVENING WITH KEVIN SMITH™. - MX appeared with MILLA JOVOVICH, JARED HARRIS, ODED FEHR & SIENNA GUILLORY in RESIDENT EVIL: APOCALYPSE™, which took the #1 Box Office spot during its opening weekend! DVD/VHS was released on DEC. 28/2004 and MX can be viewed in the supporting feature ZOMBIE SCHOOL. - The 3rd ANOTHER 1000 MILES� album, titled "BETWEEN WHEELS" is now available for sale @ the band�s website! Click the link to the right for more information. All characters and concepts are � and � their respective creators & owners. This site is best viewed in 800x600 (or above) resolution with high color mode. Designed for use with the latest versions of Microsoft™ Internet Explorer™ and Netscape Navigator™.